o The York Engine/Boiler House is significant for its associations with the York Manufacturing Company and the development of Saco as a major industrial city in the 19th and early 20th centuries. 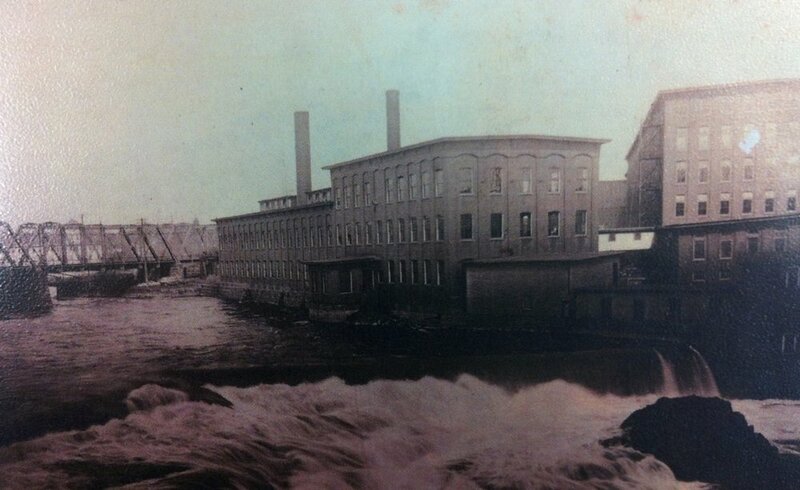 The York Manufacturing Company established its first cotton mill in Saco in 1830 and continued to grow into the 1840s. Major expansion in the late 19th century resulted in construction of the earliest section of the Boiler/Engine House (central portion) in 1880 to supply sufficient power to run the mill buildings. Continued expansion of the mill yard paralleled enlargement of the Boiler/Engine House in the early 20th century. The northern wing was erected in 1911, while the southern addition was built in 1922. The York Manufacturing Company profited during WWI and survived the textile depression of the early 1920s but by the time the stock market crashed in 1929, the looms had ceased production under the original management. The company was acquired by several different manufacturing companies throughout the twentieth century before the last occupants vacated the building in 1985. After sitting vacant for nearly 30 years, David Bateman, Archetype Architects, and Portland Builders worked closely with the Maine State Housing Authority and the Town of Saco in order to rehabilitate the turn of the century Boiler/Engine House into workforce housing apartments. Working on the exterior wall proved challenging as the building sits along the river. o The rehab work done to the Boiler/Engine House kept the historic fabric of the building intact and preserved the memory of the turn of the century Saco mill industry while giving the mill a new life with beautiful living units that overlook the river and dam.